The answer to both of these questions is a resounding YES! In fact, there are absolutely no known contraindications regarding chiropractic care during the prenatal period, and all chiropractors are trained to work with women who are pregnant or trying to get pregnant. While that may seem “odd” to those not familiar with chiropractic, we can assure you that it’s anything but – after all, doesn’t it make sense that your chiropractor would be there to support you and aid you during such a pivotal time in your life? There are many chiropractors who even take a specific interest in prenatal and postnatal care and seek out additional training to make them the “experts amongst the experts”. Before we go any further, let’s take a few moments to review what, exactly, a chiropractor does, because it goes far beyond being “a back cracker”. Chiropractic care helps maintain the health of your spinal column, bones, discs, and nerves in a manner that does not involve surgery or medication. The theory behind chiropractic care is that by adjusting the misaligned joints within the body (especially the spine), nerve stress will be reduced which, in turn, helps to promote health and wellbeing throughout the entire body. And, because the nervous system is the master communication system within our bodies, keeping the spine aligned helps to keep the entire body working as efficiently and smoothly as possible. So, what’s the benefit to having chiropractic care during pregnancy? Well, to start with, those nine months of pregnancy put a lot of stress on the body – not stress that the body can’t handle, mind you – after all, our bodies were designed for the process – but stress nonetheless. Changes in the pelvis, as well as an ever burgeoning belly and increased curve to the back, can result in a misaligned spine and/or joints throughout the body. Being able to establish the proper balance and alignment of the pelvis during pregnancy is vital. When the pelvis is misaligned, it’s possible that the amount of room available for the developing baby is reduced. In addition, having a misaligned pelvis can also make it tough for the baby to get into the correct position for delivery which, in turn, can affect the delivery process and the mother’s ability to achieve a natural, non-invasive birth. So, if you’re looking to maintain as healthy of a pregnancy as possible, chiropractic care is a great place to start! Not only will it help you maintain a healthier pregnancy, but it may also help to control morning sickness, ease back, neck, and joint pain, and has been shown to help in reducing the amount of time a woman spends in labor and delivery. If you’re interested in more information, please don’t hesitate to give us a call. Fletcher Chiropractic, located in Lincoln, Nebraska, is here to help your whole family stay healthy and happy! Jaw pain: What can I do? Jaw pain is pretty common. More than 15% of Americans can suffer from jaw pain or TMD (Temporal mandibular disorders). 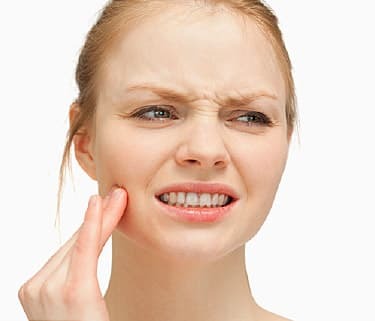 Some common symptoms are clicking or popping of your jaw joint, pain and tenderness along your jaw, mouth or neck when talking or opening our mouth and problems opening or closing your mouth. Did you know that chiropractic and massage along with your dentist could help decrease jaw pain caused by the joint. Before we get to some helpful tips, it may be helpful to understand what the jaw joint is and what can cause pain in the jaw. The medical name for the jaw joint is the temporal mandibular joint or TMJ. This is where your jaw bone meets your skull, right in front of your ears. It is a hinge type of joint that allows someone to talk and chew, basically open your mouth. However, if you have problems with this joint, it can cause excessive clicking, locking, difficulty chewing, or pain. It is also possible to develop arthritis in this joint, like any joint. There are four primary muscles that help control your jaw, opening and closing your mouth with eating/chewing. Two of those muscles are on the outside of your jaw. They are the temporalis muscle and masseter muscle, which allows for more grinding and chewing. Tension may be in both of these muscles and that can contribute to pain in your head or upper neck. The two inner muscles, the lateral and medial pterygoid muscles, tend to be more sensitive and can play a bigger part with pain development. They are more responsible for opening and closing the mouth and are located directly behind your back teeth. It’s not uncommon for TMJ issues to be associated and cause headaches, tooth aches, tinnitus, and other upper neck and head conditions. Causes of pain in the TMJ vary but it can be an injury like whiplash or it could be just repetitive use with stress. Stress is a big factor as well especially if there is teeth clenching or the muscles tighten up. However, there are some things that you can do to help alleviate jaw pain if you have but also to help prevent it. 1. Try an ice or heat pack. Remember to use a cloth with no direct skin contact and to only do it for about 15 to 20 minutes. 2. Avoid chewy foods especially gum. Chewier foods like steak and candy like gum make the muscles of the mouth and jaw work harder and can increase pain. 3. Eat soft foods like yogurts, pudding, sliced fruits, cooked vegetables, etc. Soft foods and foods cut into smaller pieces don’t tax any aggravated muscles when you are in pain. 4. Try meditation/relaxation techniques. Have you tried yoga? Figure out a way to decrease the stress in your life since stress can be a trigger for muscle tension and pain. 5. Try a night guard especially if you grind your teeth or chatter/clench when stressed. 6. Visit a Dentist. When was the last time you went to the dentist? Dentists can sometime help identify a problem before there is a lot of pain. 7. Visit a Chiropractor. WHY? Because there is actually an adjustment that you can do for the jaw. However, with that being said, muscle is usually a big factor with TMJ issues. Stretching and muscle therapy can be taught to be able to do it at home. Good posture techniques also help decrease pain and tension. So if you have or have had jaw or TMJ issues, do not be afraid to contact us here at Fletcher Chiropractic in Lincoln, Nebraska. Our providers have experience with these types of issues. Please remember that this is just friendly advice and remember to see a health care professional if you do have any questions or concerns or if you are experiencing this type of pain. Posted in Uncategorized | Comments Off on Jaw pain: What can I do?